Doha: An Indian steelworker taken ill at a Qatar World Cup site has died, organisers of the 2022 tournament announced in a statement on Saturday. Jaleshwar Prasad, 48, died of a cardiac arrest after falling ill at the Al Bayt stadium on Wednesday morning, said the Supreme Committee for Delivery and Legacy, the body responsible for organising the Qatar World Cup. He was taken to hospital but died some two hours later. “Mr Prasad fell ill on-site around 9:30 am on Wednesday 27 April,” read the committee’s statement. “He received first-aid treatment until paramedics arrived. He was transferred to Al Khor Hospital but sadly passed away around 11:30 am. The supreme committee said a full investigation was under way. It added that Prasad’s family had been informed and offered “all necessary support”. “Our prayers and heartfelt condolences are with them at such a difficult time,” the committee said. Al Bayt is a 60,000-capacity stadium, north of the capital Doha, and will be used up to the semi-finals stage in 2022. The issue of deaths among migrant labourers helping build stadiums for Qatar’s $30 billion tournament has long proved controversial. Critics have voiced alarm over reported work deaths surrounding the construction of World Cup facilities. Those figures are vehemently denied by Qatar, with officials previously claiming no workers had died. Despite this, Qatar received the full backing of new FIFA president Gianni Infantino in April who said on a visit to Doha that the country had made progress on the issue of labour reform and the 2022 tournament would definitely be paid in the Gulf. 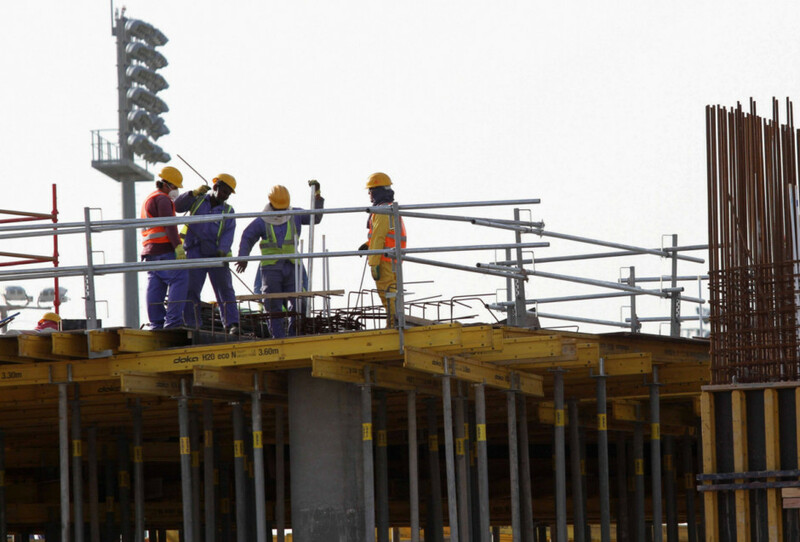 Qatar currently employs about 5,100 workers on World Cup sites. That number will peak at 36,000 by 2018.